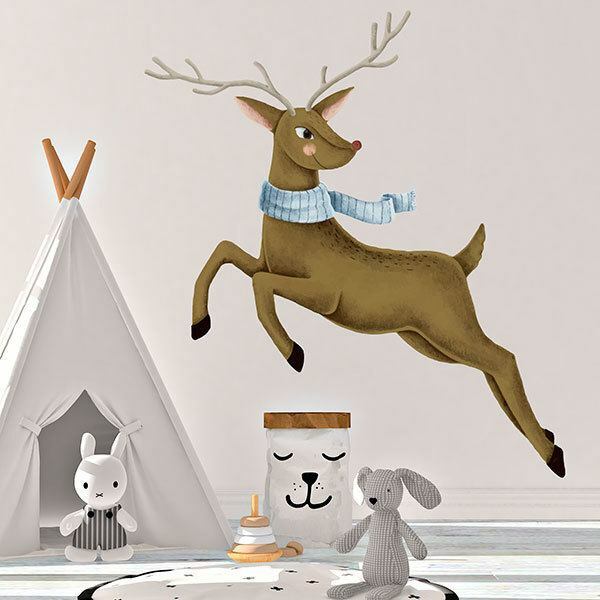 Kids wall sticker Rudolph reindeer. 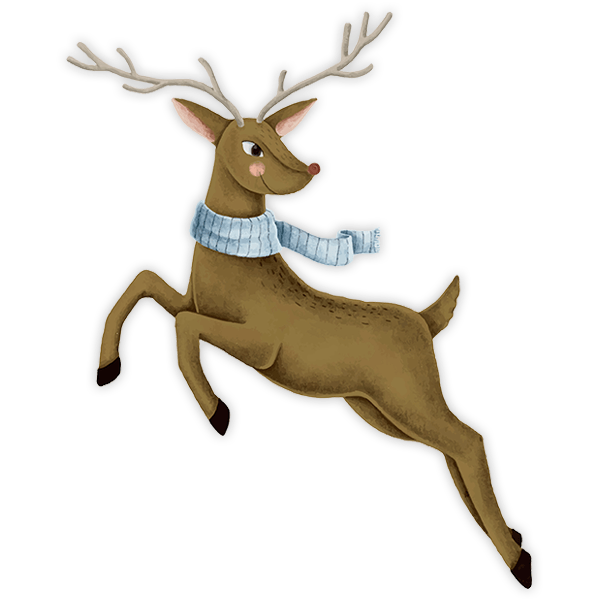 This design is an illustration of Rudolph, Santa's most famous reindeer, in a children's story style. We see him smiling, jumping and with a scarf around his neck, eager to start handing out Christmas presents. Ideal for the living room. Size: 65 x 43 cm. 9.45 x 11.81 in. 12.60 x 15.75 in. 15.75 x 19.69 in. 18.90 x 23.62 in. 22.05 x 27.56 in. 25.20 x 31.50 in. 28.35 x 35.43 in. 31.50 x 39.37 in. 34.65 x 43.31 in. 37.80 x 47.24 in. 40.94 x 51.18 in. 44.49 x 55.12 in. 47.64 x 59.06 in. 51.18 x 63.39 in.